Well the booklet is now finished and available for sale. It has its own site at Hillfit.com, where I write more about it and give some testimonials / reviews from people that have read early drafts. There is also a Table of Contents pasted up on that page. 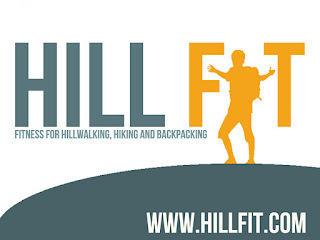 Hillfit.com has some buttons where you can buy the booklet. It downloads as a pdf file and is about 50 pages. I hope you enjoy it! Thanks Chris. I've purchased a copy. Here comes my May Scottish trip! Also , thought I'd share this recent very interesting article from the ny times from the perspective of an experienced yoga teacher. Just wondered what format the book was in? I'm presuming pdf, but wondered if there was a kindle compatible option/or if you had plans for one in the near future? No probs Chirs, pdf is good, just thought I'd double check so I didn't buy it then find a kindle version the following day! Will stick you a review on the blog as soon as I've had chance to ready it.